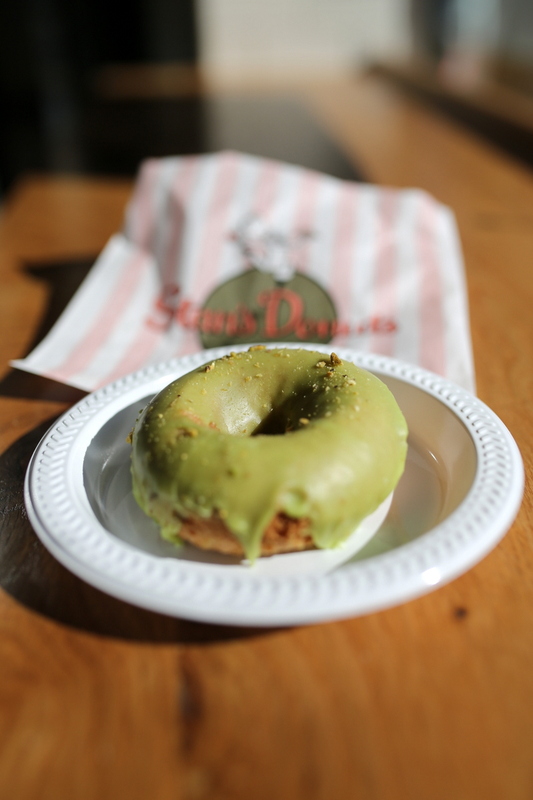 Resident Foodies say: We’re super big fans of Stan’s Donuts, which Stan Berman originated in LA in 1963 and has now come to Chicago compliments of business partner Rich Labriola in 3 locations (Wicker Park, Streeterville, and Lakeview). 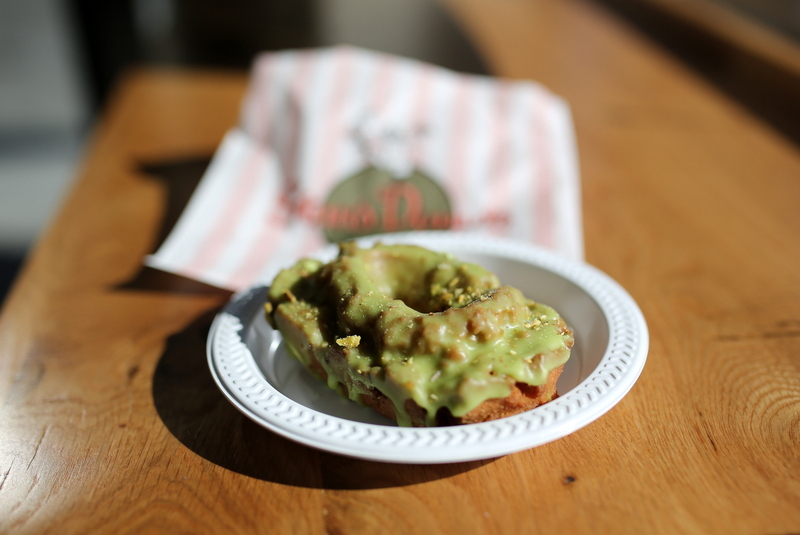 Featured above is the gluten-less pistachio donut, which is also pictured below with the yummy lemon pistachio donut–our absolute favorite! 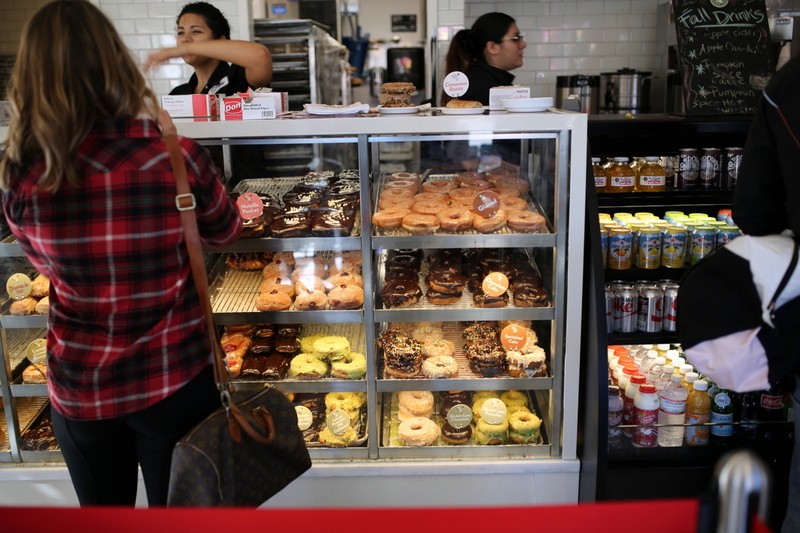 If you like donuts, Stan is the man! 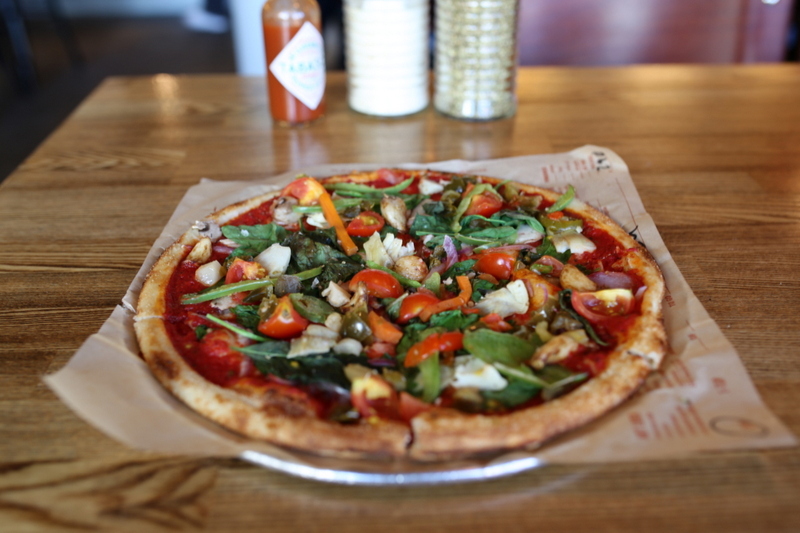 Resident Foodies say: We absolutely love the fast casual restaurant Glaze Teriyaki in Chicago (other locations in NY and SF). 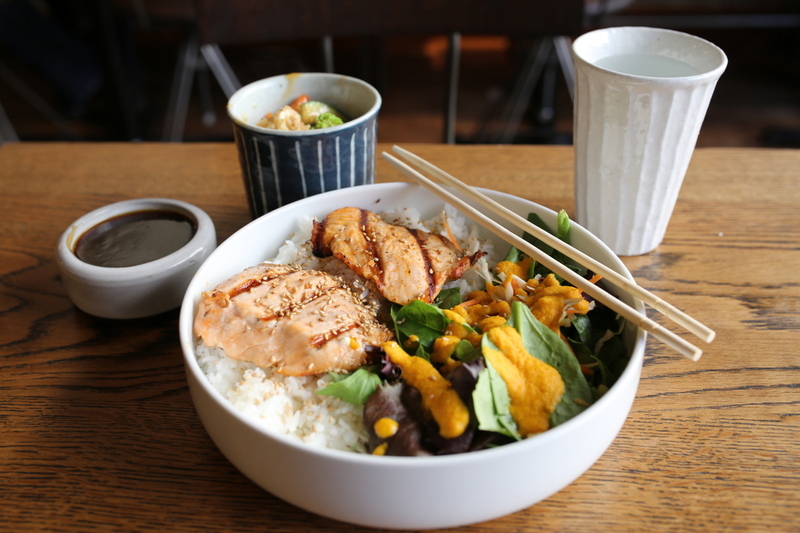 Glaze is the Chipotle for Japanese food, but the food at Glaze is higher quality. The menu allows you to choose a protein (chicken breast, thigh, steak, salmon, tofu, pork loin, or veggies) in a teriyaki plate that comes with salad and rice. You can also get a salad plate instead of the rice. Above is pictured the teriyaki plate, combination 2 with salmon, veggies, white rice, and salad with carrot-ginger dressing. 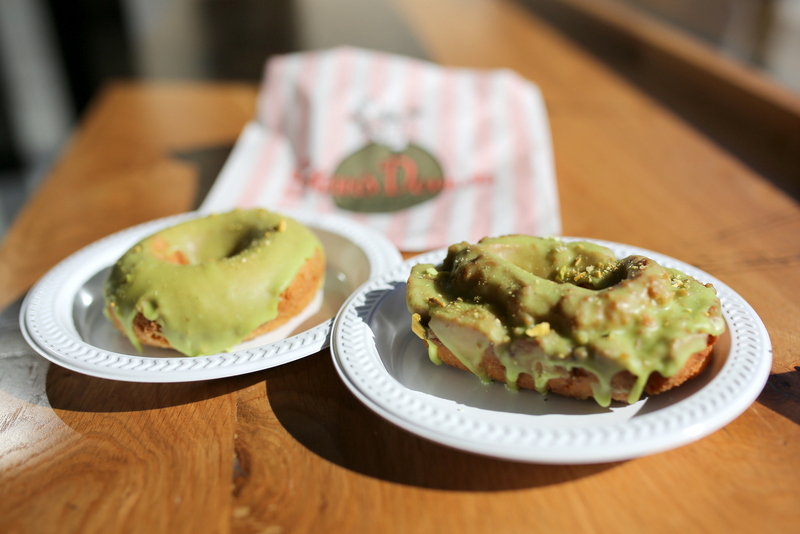 Resident Foodies say: Sumo sushi is a welcome addition to Chicago. Although Lakeview has a fair share of sushi restaurants, Sumo is a step up from most of the competition in the neighborhood. 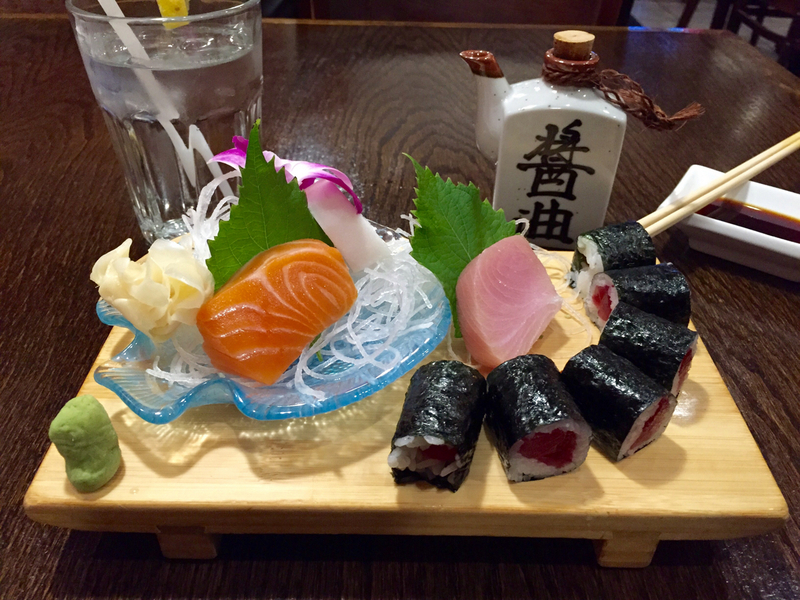 Above is a combination of tuna roll, with sashimi of white tuna, salmon, and hamachi. So delicious! And the plating is always artistic. 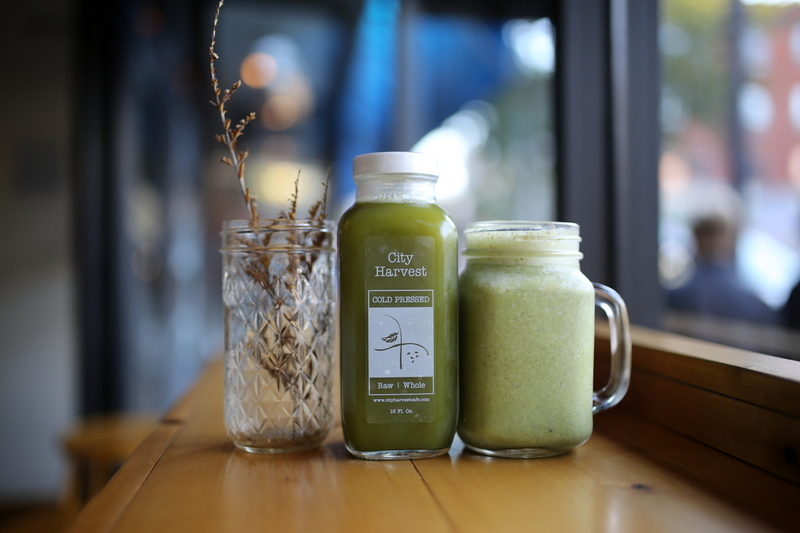 Resident Foodies say: We are big fans of City Harvest Cafe in Lakeview. Above, you can see the House Green I juice in the middle and the Bohemian Harvest in the glass on the right. This place is selling the best juice drinks–most creative combinations and subtle tastes–in the country. We’re lucky to have it in Chicago! 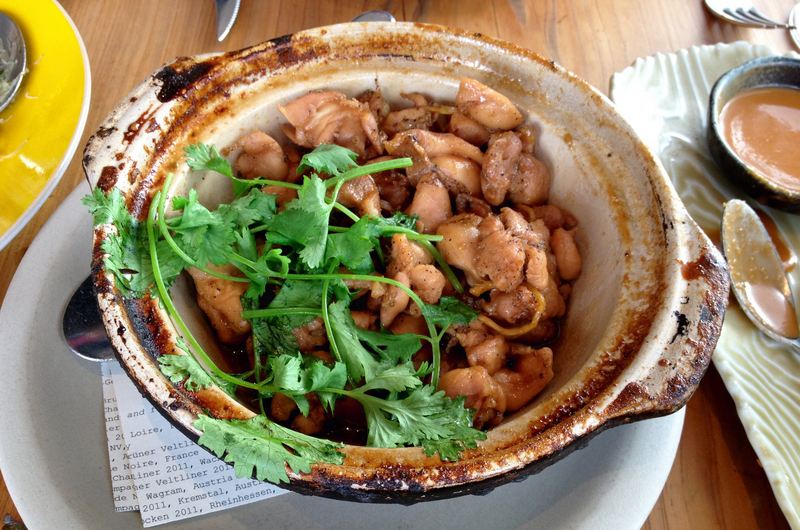 Resident Foodies say: One of our all-time favorite dishes, the organic chicken claypot at Slanted Door in San Fran. It’s actually very easy to make, using the cookbook of Chef Charles Phan. So tasty!